Epidermal collarettes in dogs often present as circular lesions characterized by a rim or a peeling edge that are often noticed in hairless areas such as the dog’s abdomen. The underlying causes for these skin lesions are various. It’s important to see the vet for accurate diagnosis and treatment of epidermal collarettes in dogs considering that there may be several underlying causes that require specific treatment. Following is some information about epidermal collarettes in dogs written by veterinarian Dr. Samantha Bartlett. Dogs suffering from intense itching are prone to epidermal collarettes. Many dogs suffer from skin infections at some point in their lives. Often these are minor episodes that are easily treated. However, skin infections can be a symptom of a more serious condition. It is important to have your dog examined by a veterinarian any time you notice unusual or widespread lesions on your pet’s skin. A typical sign of a skin infection is the presence of epidermal collarettes. Epidermal collarettes in dogs are circular shaped lesions with scaly or flaky borders that are most often seen on the non-haired areas of the abdomen on the dog. They can be flat or slightly elevated. Epidermal collarettes in dogs most often indicate bacterial folliculitis. Other signs that may occur in conjunction with epidermal collarettes are the presence of pustules and hair loss along with or without intense itching. Dogs with chronic conditions may develop a thickening of the skin and hyperpigmentation, which is a darkening of the skin to a black or dark brown color due to chronic inflammation. What causes epidermal collarettes in dogs? The most common diagnoses for epidermal collarettes in dogs are superficial bacterial infections, mites or lice, or fungal infection (dermatophytosis). These diagnoses can be primary or secondary to another underlying issue. Underlying causes that can lead to superficial pyoderma and epidermal collarettes include atopy, food allergy, flea allergy, endocrine disorders, immune system disorders, and long-term immunosuppresive drug use. Epidermal collarettes require testing to find the underlying cause. If your dog has any signs of a skin condition, you should make an appointment to consult with a veterinarian. The first thing that will likely happen at the vet’s office is that you will be asked a lot of questions about your dog’s lifestyle to include activities, diet, other pets in household, parasite prevention, vaccine history, medications and illness history, and changes in routine or environment. It is a good idea to bring any information you may have on your dog so that you will be able to answer these questions as thoroughly as possible. If your dog has had skin problems before and diagnostics have been done at another vet’s office, be sure to have that information handy if possible. Once a thorough history has been obtained, your veterinarian will do an exam and come up with a diagnostic plan appropriate for your dog. The basics of a dermatologic exam will usually start with a visual exam followed by tests for skin cytology, fungal infection and mite/parasite infection. These tests usually involve an impression smear, the plucking of a few hairs or crusts from the lesions and a skin scrape to obtain cells down to the hair follicles. Depending on the results of the tests and possibly upon the results of therapy, further diagnostics may be required. For instance, if the skin infections are a recurring problem, your veterinarian will likely want to pursue further diagnostics to determine if there is an underlying cause. These diagnostics can include cytology with culture and sensitivity to rule out antibiotic resistant bacteria, skin biopsies to rule out autoimmune disease or deeper infections, and thyroid and adrenal testing to rule out endocrine disease. Other tests can include biopsies of the lesions, allergy testing, culture and sensitivity for antibiotic therapy and bloodwork to determine other underlying causes such as endocrine disease. If allergy is suspected, your veterinarian may recommend allergy testing and immunotherapy to reduce the effects of the allergens. Treatment for epidermal collarettes in dogs depends on the underlying cause. The most common cause of epidermal collarettes and the first thing your veterinarian will test for is infection or parasite infestation. Infection can include bacterial or fungal organisms. Many times an infection is secondary to another underlying cause such as and endocrine or immune system disorder. In these cases, treatment of the infection will usually resolve the lesions, but they will often recur. Common causes of skin infections include Staph bacteria, yeast or a combination of the two. Another common cause is parasite infestation – usually Demodex or Scabies mites. Depending on the severity and the characteristics of the infection, your veterinarian may opt for one or several modes of treatment. Some mild conditions, such as impetigo, can be treated with topical ointments. Other, more widespread infections may require an oral antibiotic. Usually treatment will include at least one oral medication and possibly a topical shampoo or lotion. Skin conditions that are the result of another underlying disease will often require medication for the skin condition in addition to starting a long-term medication for the underlying disease. For example, if your dog has a skin infection and is subsequently diagnosed with an underactive thyroid, you will likely be given appropriate medication for the skin infection and your veterinarian will also start your dog on thyroid supplementation, which ideally will reduce or prevent the occurrences of future skin infections. Primary underlying causes of skin infections such as allergies and endocrine disorders often require life-long, multi-modal treatment to include immune support, control of itching and inflammation and treatment for infections when they do occur. These conditions can be frustrating to treat for both the owner and the veterinarian. It is important to be consistent in medicating your pet and let your veterinarian know how the treatment is working so that he or she may make adjustments if needed. It is important to keep an open dialog with your veterinarian informing him or her of treatment effectiveness and any changes you notice in your pet. Your veterinarian will need to know this information in order to adjust treatment modalities and determine a diagnostic approach. Dr. Samantha Bartlett is an associate veterinarian at Case Veterinary Hospital in Savannah, GA. She received her undergraduate degree in Biology from the University of Alabama at Birmingham and continued to get her DVM at Auburn University. Before returning back to work in Savannah, Dr. Bartlett spent time as a veterinarian in the Florida Keys where she was able to learn about holistic medicine and gain more experience in feline medicine – two fields that hold great interest for her. Dr. Bartlett is also working to broaden her skills in dentistry. 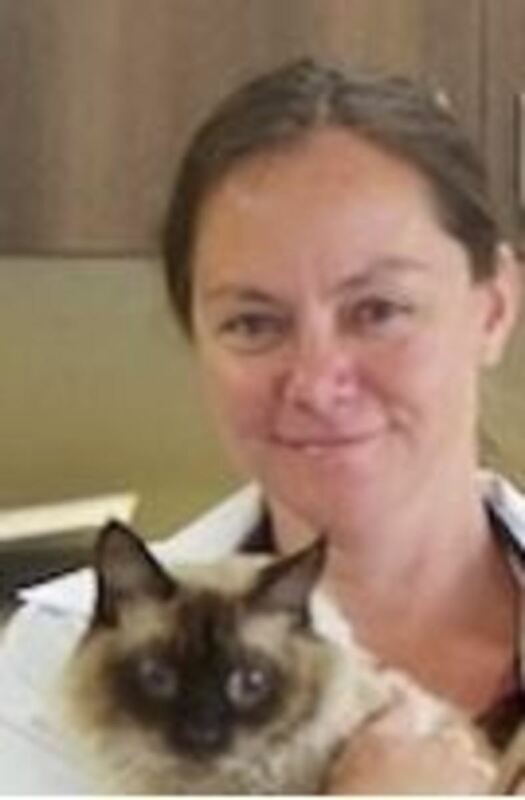 Dr. Bartlett shares her home with her dog, Boone and her three cats, Isabelle, Amelia and Oswald. In her free time, she enjoys walking the beach, paddleboarding and lazy days with a good book.